Serbia vow to knock out Brazil! Serbia’s motivation is clear. They must use the anger and frustration of what happened against Switzerland to make history and beat Brazil. We need to win to survive and that could mean sending Brazil home. 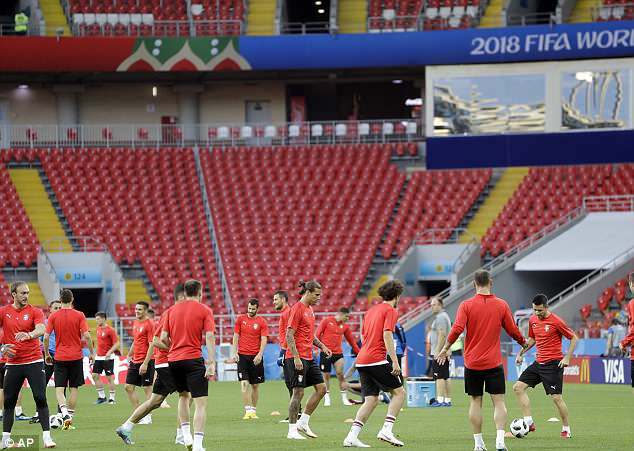 The last time they did not qualify from the group stage was in England in 1966 and this is our chance to rewrite that chapter. 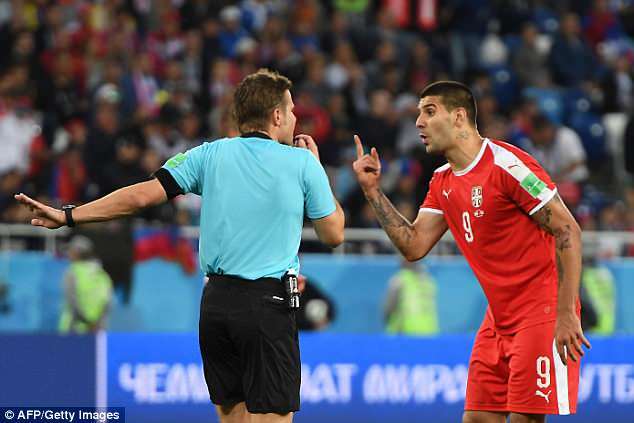 There’s a huge sense of injustice back in Serbia that we did not get a penalty against Switzerland when Aleksandar Mitrovic was wrestled to the ground by Fabian Schar and Stephan Lichtsteiner with the score at 1-1. It made the challenges on Harry Kaneagainst Tunisia look almost tame. I don’t know why the German referee Felix Brych said no and did not check. It’s strange. In that moment, he was too arrogant. The VAR system is there to help, so use it. It shouldn’t be so complicated. We have seen these decisions influence sport before and big mistakes happen but they can be so expensive. Some countries fight for years to make a World Cup. The chance comes once every four years and Serbia have waited eight years for this one, so it’s frustrating when your fate comes down to these decisions. I am a fan of the new technology. It is positive and has made a big impact and for some exciting moments. I just don’t understand why, if it’s there, the referees don’t use it. Ultimately, arguing doesn’t win you anything. For Serbia, our anger, our energy, is best used competing against Brazil. We can’t be scared of Brazil. We must trust in each other and recognise the chance to win a great game. Let’s do it. When we have to fight, often it brings the best out of us. In 2010 we lost to Ghana, then beat Germany — and we didn’t expect that result. Brazil are under pressure to perform better every game. Like all the big nations, they have yet to play to their expected level. When Neymar rushed a shot over the bar from distance against Costa Rica 20 minutes from the end, I could see a little desperation coming into their game. Expectation can rest heavily on all big players and we can see from some of the other nations how good organisation and fitness can frustrate the top teams. It’s important for us to play a long game. Do not concede early, be solid in our formation and prepare for the offensive transition. We won’t dominate possession but we must show we are proud to defend our country and then the element of surprise always exists. It’s not about individuals. I have not spoken to Mitrovic. He needs this time to be quiet, to be focused and to listen to his national coach. As I found with him at Fulham, Mitrovic is a great professional and I believe he can still have his moment. He and Dusan Tadic played well against Switzerland but the others were not at their usual level. On Wednesday they all have to be as one and be clinical when the chances come. It is an exciting World Cup. I have enjoyed watching Croatia, Belgium, England and Colombia so far, but it would be great to witness another surprise.